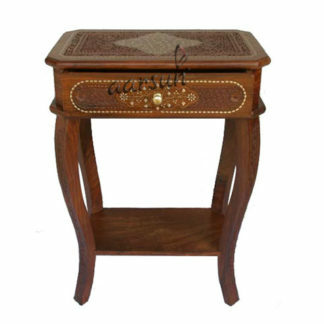 Aarsun Woods presents to you Handmade Wooden Bedside Table / End Table / Utility Table for home. 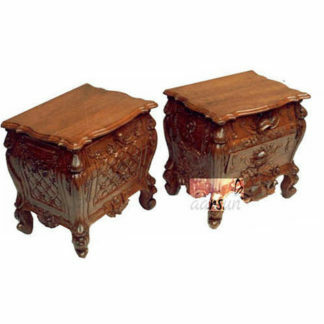 Enhance the look of your bedroom by adding these elegant pair of 2 side tables handcrafted by skilled artisans in premium quality Sheesham Wood with fine natural wood finish. The utility tables consists of a full length drawer on top and a cabinet with a single door. The end table / side table is spacious enough to place most of the essentials you require beside your bed. 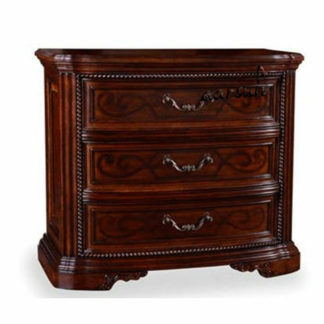 Moreover, the bedside tables can be customized exactly as per your requirement. Shades Available: Natural Wood (as shown) and Dark Walnut.